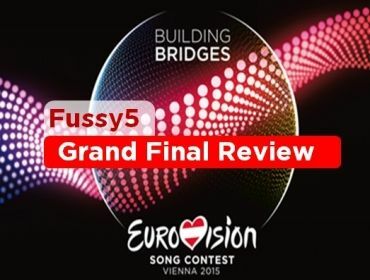 The contest opened and we saw Austria’s orchestra before we saw a ball dropinto the Hallerne with the theme song ‘Building Bridges’ coming in and then…Conchita came out of this tunnel and started singing the theme song with thehosts. After all the acts performed, then camethe voting. The UK had a tragedy and had 5 points… beating France on 3 points and Germany and Austria on Nul Points, while Sweden went on and won with ‘Heroes’ scoring 365 (the winner takes it all). 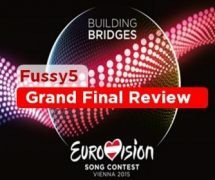 I watched this with a Belgian friend online and his opinion of Eurovision as awhole was that he was sad about Iceland and Malta not qualifying, and so was I,but what came worse was the Final Voting! He also was rooting for the UK and hoping Russia would win! My opinion would bethat it’s Eurovision, it’s unpredictable, especially this year. Even if some ofmy favourites didn’t get through at least there were some catchy songs. I guess I wasn’t really fussed on theSwedish entry so it didn’t surprise me when it won, but I’m so glad Belgiumdone well this year. So, that’s it for Eurovision this year, but one morearticle left to do. Top 40, who will be my true winner? But, thank you Austriafor a wonderful time! It’s My Shout – Get Involved In Film!